Anchor Metallic embroidery threads add that extra sparkle to your embroidery crafts projects. Anchor Metallic is a fine hand embroidery thread with a chain construction, which is ideal for tassel-making, cord making and projects where longer lengths of thread are required. The construction is a single Ply thread on 50 m spools. The Anchor Metallic range is also suitable for freestyle embroidery, Goldwork, canvas work and different forms of counted thread embroidery. Anchor Metallic Embroidery thread highlights your creativity and adds an elegant and glamorous touch. 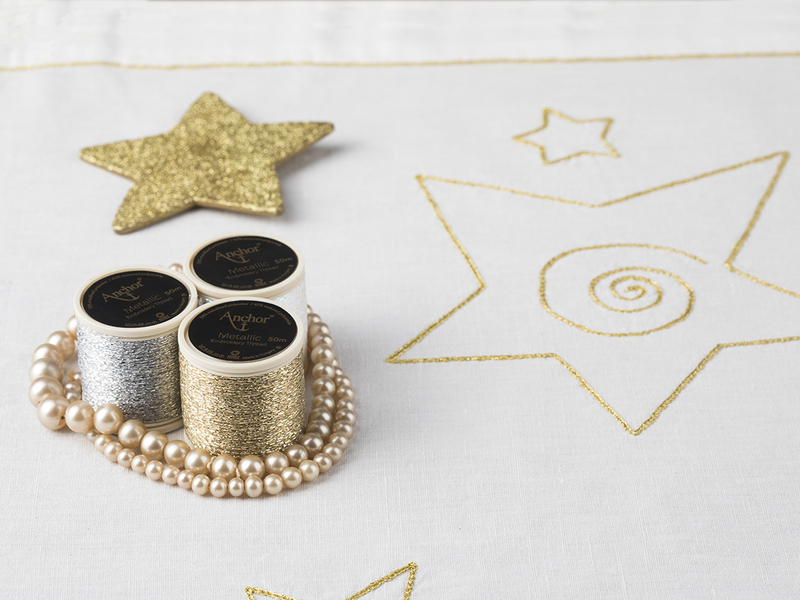 Used alone or combined with other threads, Anchor Metallic embroidery thread provides a precious appearance and adds a touch of luxury to your special stitching project.